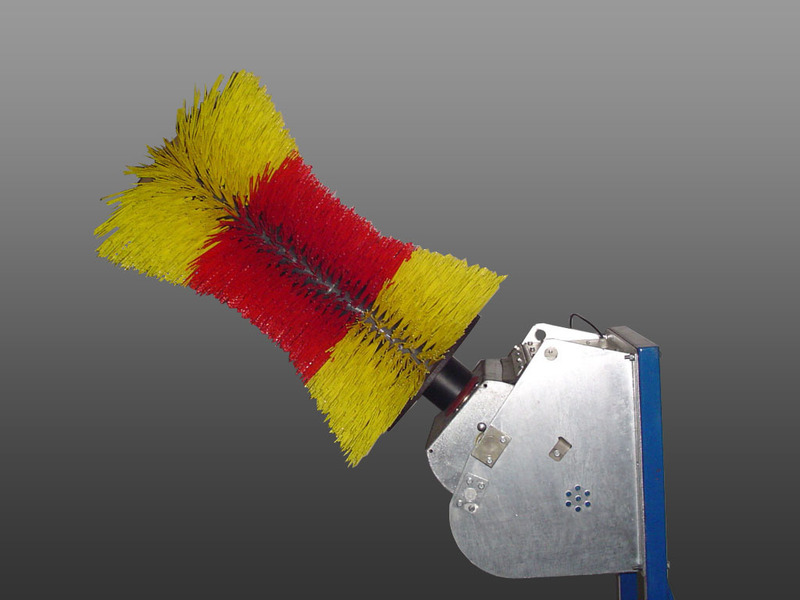 In December 2002, we started producing electric, rotating cow brushes for cattle's health, comfort, and welfare. At first the brush was exported to Switzerland, and quickly became popular among farmers in Poland and abroad. Our device can be applied in the free roaming area of dairy-cattle sheds, as well as on pastures possessing access to electricity or electrical generators. The rotating cow brush, which can be easily attached to wall or support, starts immediately when touched by a cow. It is driven by a 250 watt electric motor, controlled by microprocessors. The brush is set to rotate clockwise and counterclockwise, thus, assuring a long service life of the durable, nylon bristles. Additionaly, it stops automatically in a few seconds after a cow walks away. 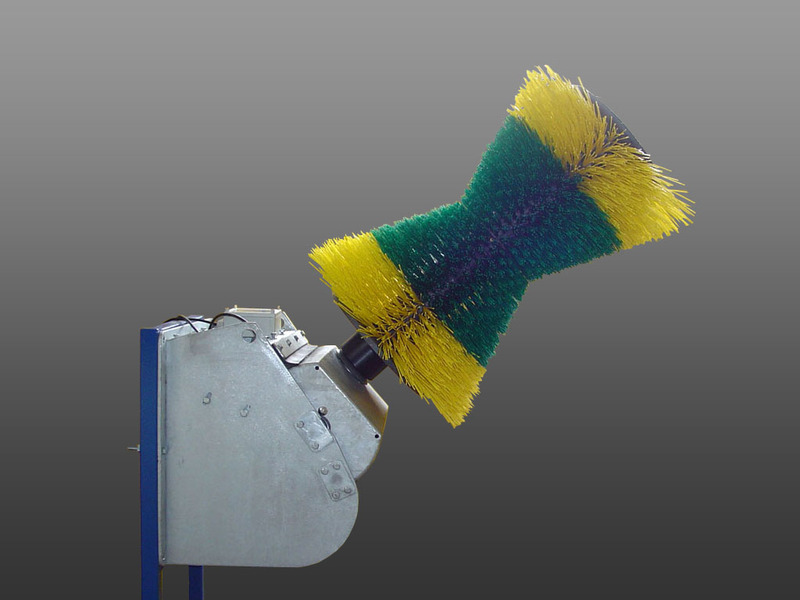 This makes the brush more efficient and longer lasting, while, at the same time, saving energy. It immediately stops turning if something gets caught in the brush and reverses direction. 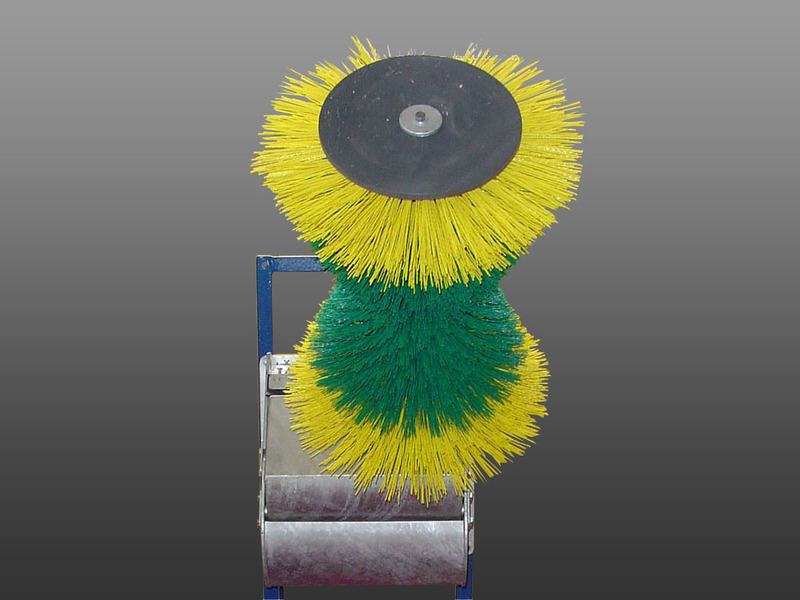 It is proven that using the rotating brush significantly influences cows' health, comfort and welfare and as a result, increases milk production. It is also proven that growth in the weight of beef cattle is increased. 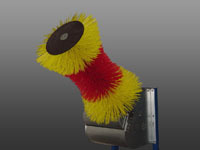 This brush keeps cows clean and healthy by removing dirt and other parasites, while improving barn hygiene at the same time. 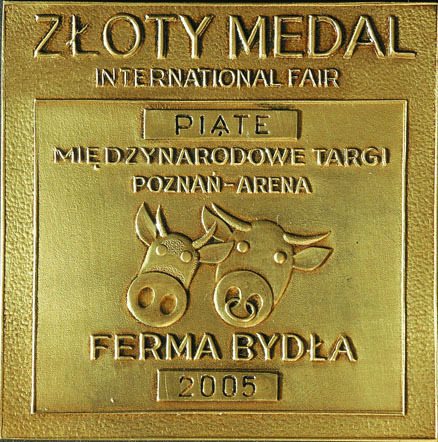 Our rotating cow brush was awarded the Gold Medal during the International Trade Fairs in Poznań. 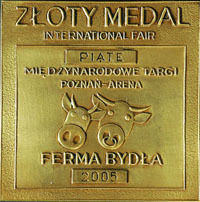 In the following year it received an award for innovative devices on the Polish market.